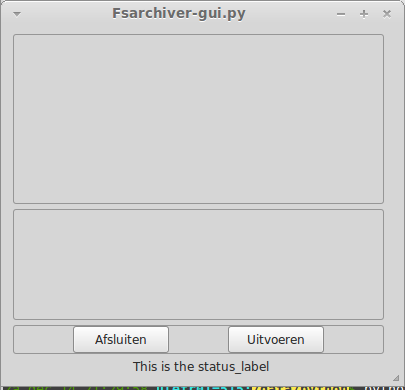 Here's a simple GUI for fsarchiver that meets my needs (and hasn't blown up on me yet, although I've not tested archive restoration in this version). I don't see the labels in the second frame..
Do you know what is wrong with python ? I am using LinuxMint Mate 16 Petra . (python3 and GTK3 are installed).